Mama Marcie: Yo Gabba Gabba! Have you seen this show? I would venture to say that it is the best show for tiny tots currently on the air. Isabel loves it, and I am oddly drawn to it. 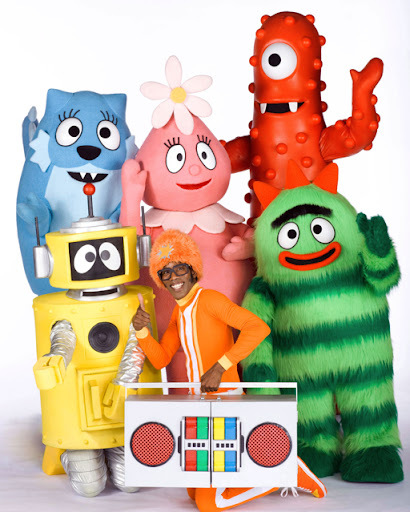 The basic premise of the show is DJ Lance Rock has 5 toys that magically come to life and teach little ones all sorts of great things (shapes, colors, sharing, manners, taking turns, etc etc) through song, dance, crazy cartoons and other bits. There is Mooney, Foofa, Brobee, Toodee, and Plex, along with many many dancing children, various bands and various famous people (we are watching the 1st season and so far we have seen Elijah Wood and Nacho Libre's side kick). Now, let me take a moment to say that I do not let Isabel watch tv lightly... I do not use tv as a babysitter or think that tv replaces my responsibility to teach her. However, as every mom knows, there gets to be a point that if there is not a distraction, both mommy and baby will completely lose it, haha. And that is when we pull out the iPad and watch half an episode or so. And Isabel is completely entranced by this show. When DJ Lance comes on the screen, she gets a huge smile on her faced. It is hilarious. 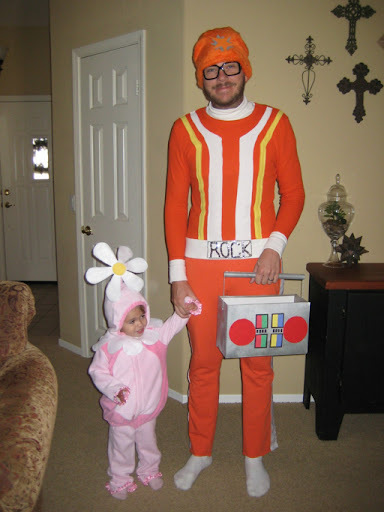 I'm thinking Drew and Isabel need to be DJ Lance and Foofa for Halloween. Haha. Oh man, I am laughing just thinking about that picture. Someone on Etsy made it for her husband and daughter. I love it. Do you think Drew would go for it?? Yeah, I don't think so either. 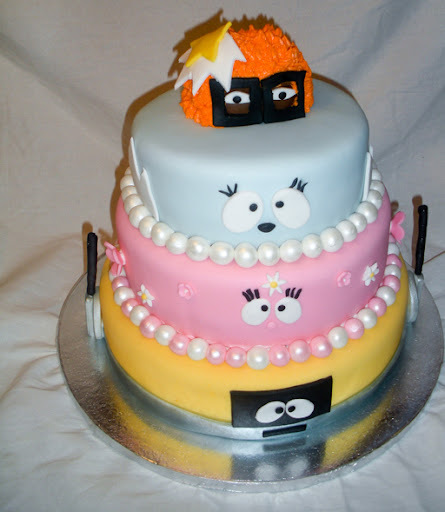 Or maybe we need to have a Yo Gabba Gabba birthday party and make this cake.